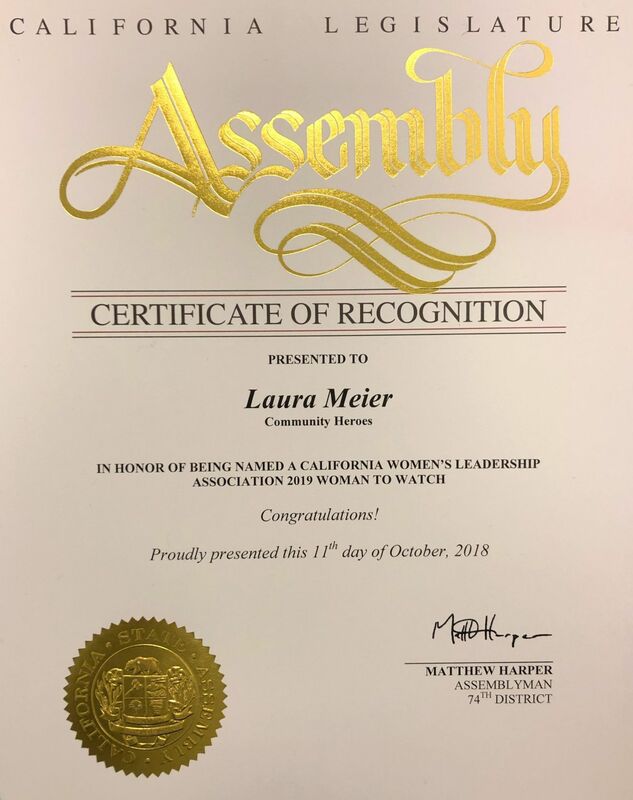 Laura will join with other business leaders and politicians at the CA Women Lead Annual Conference at the Disneyland Resort on April 22-24, a bi-partisan non-profit event that encourages women to engage, empower, and lead, and to serve in the public sector. As many of you know, I have the privilege of serving on the board of directors for UCP-OC, a non-profit dedicated to helping children wit disabilities. Please join me in supporting our annual gala this year at the Fashion Island Hotel on Saturday, April 13th. Sponsorship opportunities available, and a guaranteed fun night! Would love to have you join us! To learn more about what we shared on the podcast just click the video! Thank you for having us Bahnsen Group. 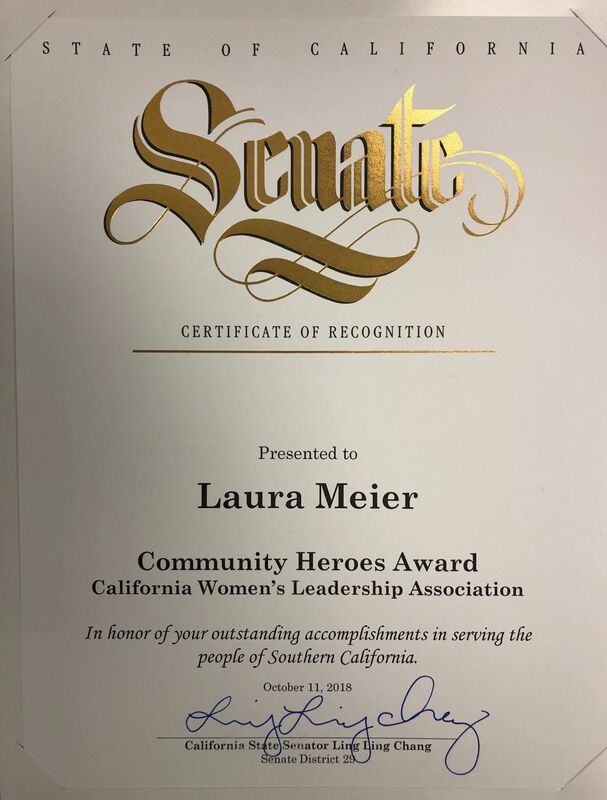 Laura Meier Honored as 'Community Hero' by CWLA For Helping Kids With Disabilities and Educating Women In Finance. 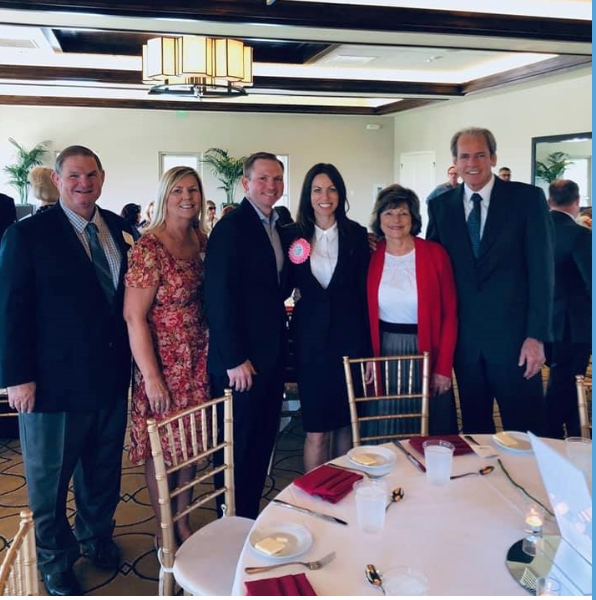 Laura was joined at the CWLA Annual Women to Watch Luncheon by her husband, Josh Meier, her parents Allen and Christine King, and her in-laws David and Ann Meier. A special thanks to So Cal Gas Company for hosting Laura and her family at the Luncheon. 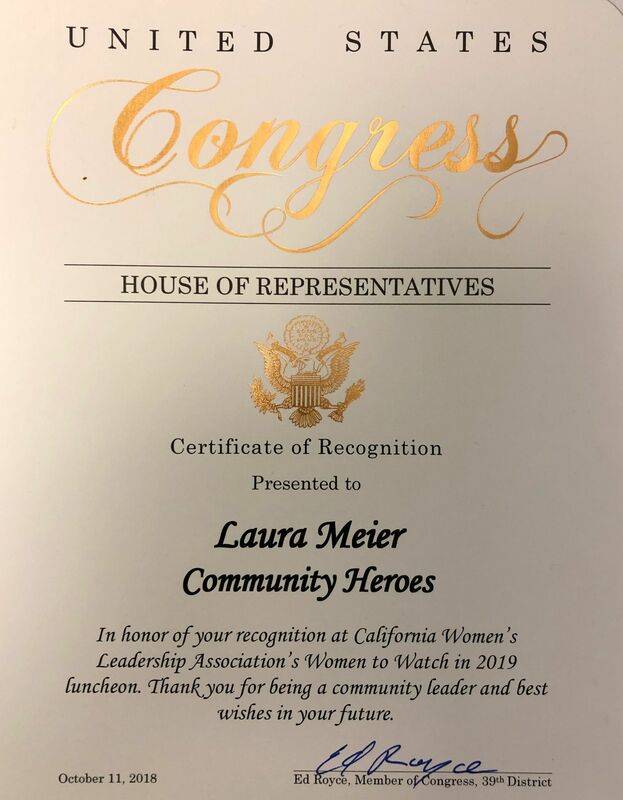 Way to go Laura! 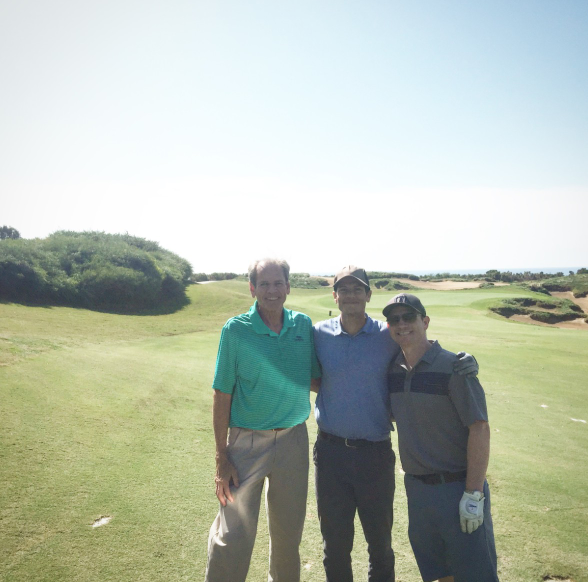 It was a great day for golf at beautiful Pelican Hill! Thank you to Josh (right), my father Allen King (left), my younger brother William King (middle), and my 'second dad' Bob Davis (my childhood best friend's father who took the photo) for coming out to support the kids. 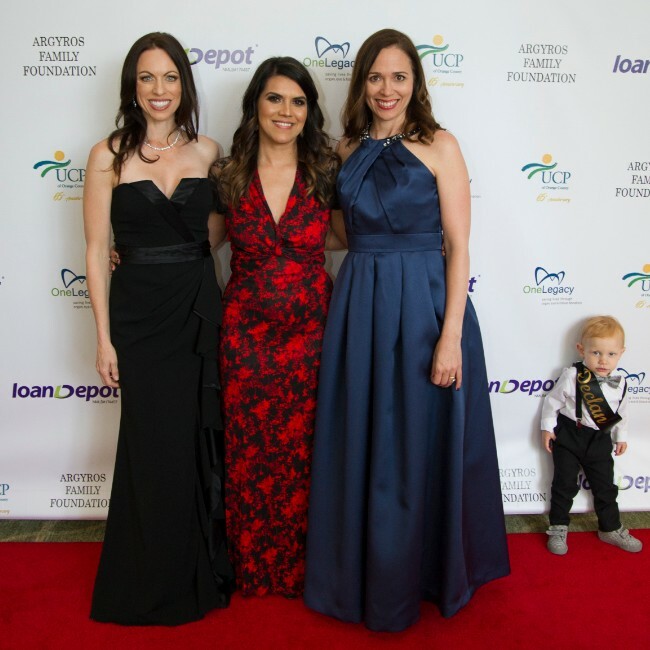 UCPOC is one of the leading nonprofits in Orange County that helps kids with disabilities and their families through therapies and family support services. I'm proud to serve on their Board of Directors and inspired by the families we serve. If you would like to get involved with helping kids with disabilities, please email me at [email protected]. We'd love to have you contribute your time, talents, or treasures! Awesome Recognition by CSULB at Angels Stadium! 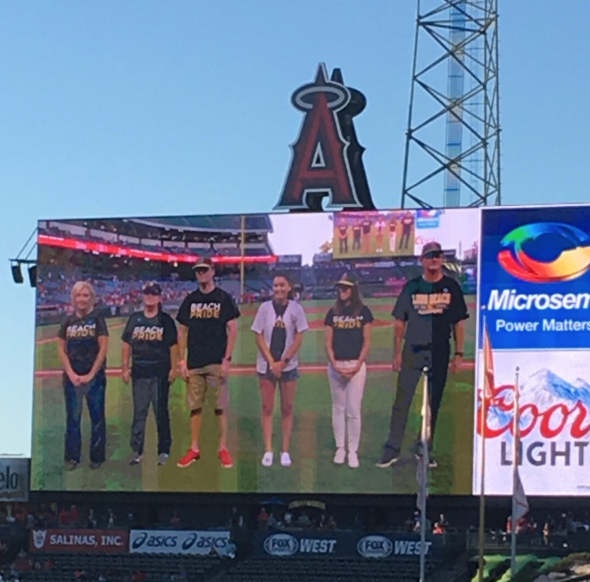 I had my 15 seconds of fame at Angels Stadium recently when my alma mater California State University Long Beach recognized me and some other alumni for our involvement with the University! While I did not get the loud applause like the streaker who hit the field halfway through the game, it was a great honor nonetheless to be recognized lol. The coolest part besides seeing Cal Colhoun warm up right in front of us in the batting cage was having my mom and dad there cheering me on, along with Josh and our oldest sons Conrad and Jack. Thanks to the CSULB Alumni Association and the Anaheim Angels of Los Angeles for including me, and congrats to CSULB for being recently being ranked #3 by US News Rankings for 2019 Top Public Schools, Regional Universities West. 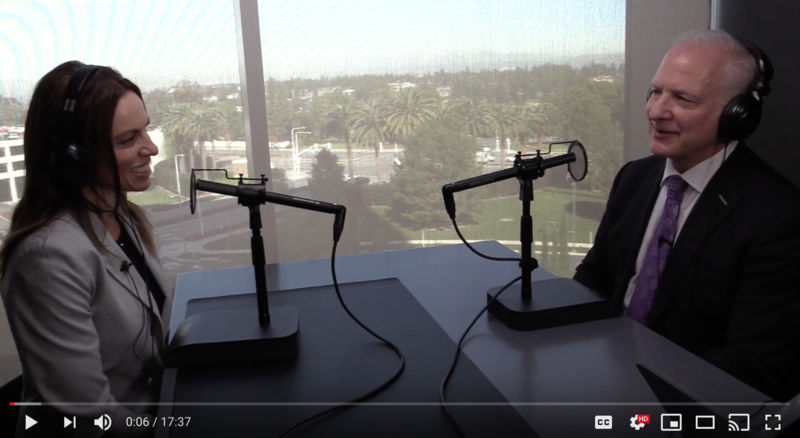 If you haven't had a chance to reconnect with your alma mater, I can share with you how personally rewarding it has been for me to give back through mentoring future lawyers and supporting Camp Nugget, a CSULB program that benefits kids with disabilities. Meier Law Firm Supports Big Brothers Big Sisters and Camp Nugget. Josh and I had the chance to throw some love to Big Brothers Big Sisters Orange County. 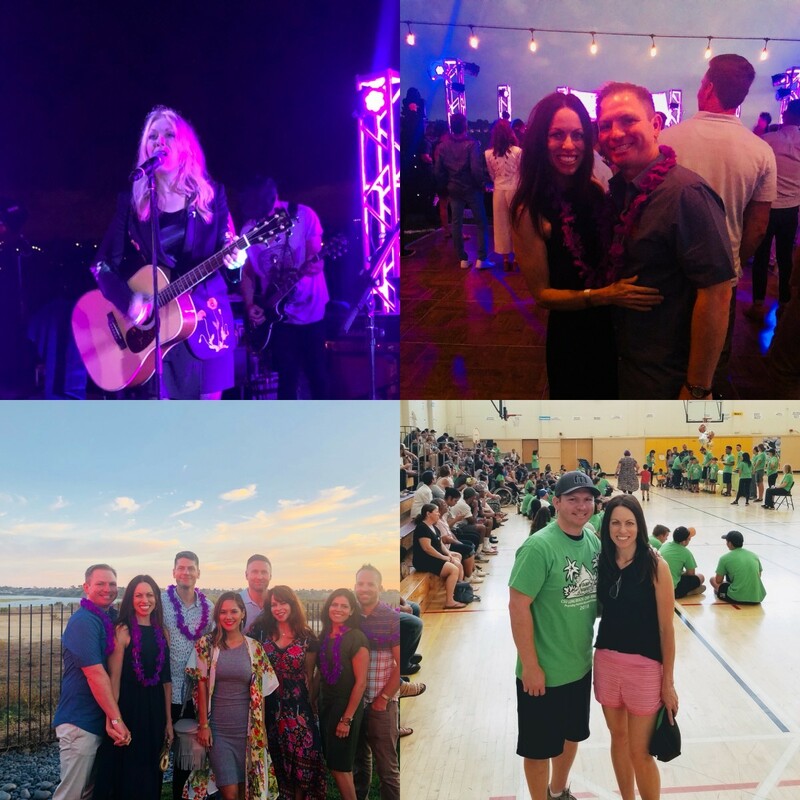 Josh’s non-profit Lead-OC that he helped found hosted a fantastic benefit for Big Brothers Big Sisters of Orange County as they celebrated 60 years of connecting at-risk youth with outstanding mentors. My siblings and their spouses joined us at the benefit so it was a full family affair. The event also included a surprise private performance from Nancy Wilson from Heart! We actually Facetimed in my parents who were already in bed when Nancy came out on stage so they could hear her sing. Josh and I also had fun seeing all of our little buddies again this year at Camp Nugget. These kids work so hard and it makes us happy to know they have this special experience to look forward to every year. Thanks to CSULB for this local gem and for your warm welcome. Thanks for Supporting the UCP-OC Gala, Camp Nugget, and CA Women Lead Events! Thank you so much for everyone who came to the Camp Nugget ‘Friendraiser’ at Gunwhale Ales. We had a full house and it was really fun hanging out together. If you haven’t been there yet, you should definitely check it out! The UCP-OC gala went great too! That’s me in the picture with our new CEO Dr. Ramin Baschshi, and my fellow Board Member and Gala Co-Chair Michelle Maryott. I seriously love that we were photobombed by the little cutie on the right. Josh and I had a lot of fun dancing with a little girl named Mandy, who despite being born with five holes in her heart and having epilepsy, was still a way better dancer than me. I also had a great time speaking at the CA Women Lead event at the Disneyland Resort. There are so many great ways for men and women in the private sector to get involved with our state government by serving on Governor-appointed boards and commissions. Even if you are like me and just care about #peopleoverpolitics, we can still make an important contribution to the future of our state through serving on a committee or running for office!